Once Finalized, CPARS Ratings Stay on Your Performance Record for at Least 3 Years! Are You Getting “Exceptional” CPARS Ratings on All Your Government Contracts? If Not, Do You Know Why? Do You Know What to Do to Improve Your Ratings? Have You Noticed Your CPARS Ratings Going Down Over the Last Few Years? Do You Know How to Prevent and/or Correct Inaccurate CPARS Data? Did You Know Contract Performance Management Begins at the Proposal Stage? 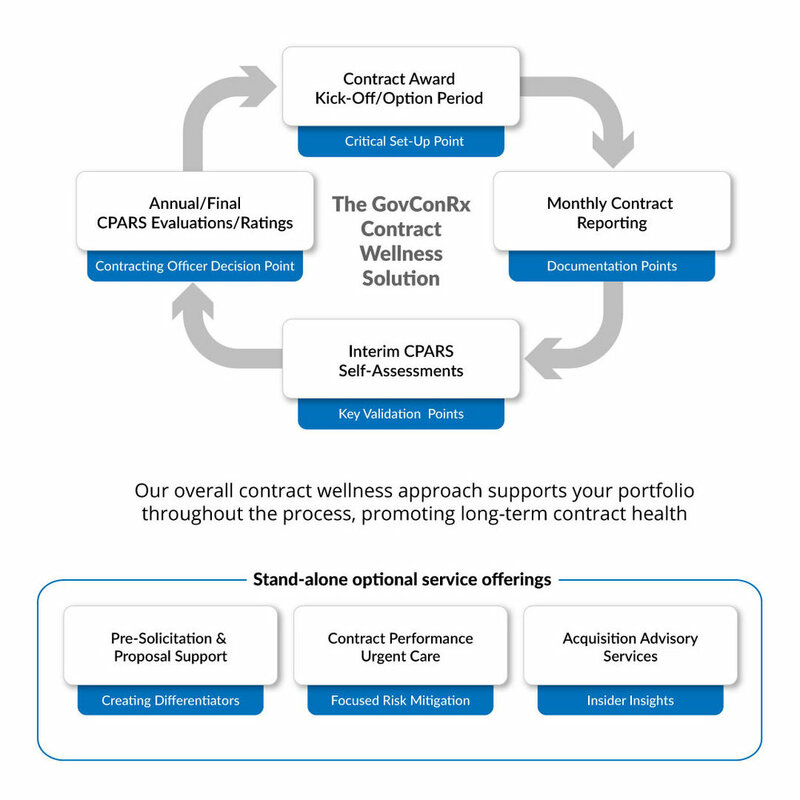 For Further Information on the GovConRx Contract Lifecycle Performance Management Process and How to Ensure Highest Accurate CPARS Ratings, Click Here.